Bank of Japan having trouble reversing previous QE.. The Bank of Japan bought shares from banks (shares for cash) in 2002 and 2009/2010 in an attempt to inject liquidity and avert a credit crunch in the economy. Planned sales of those shares have been put on hold, a sign that central banks in the US and Europe may have difficulty contracting their balance sheets in the years to come. 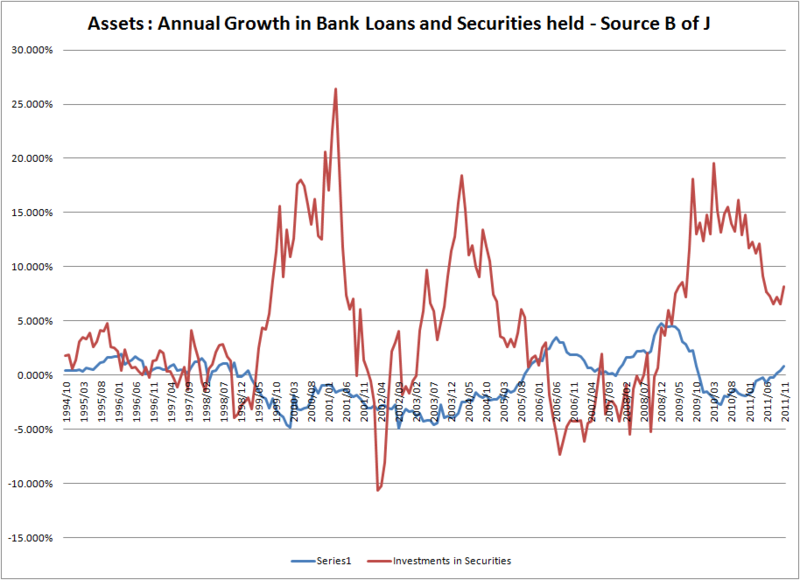 While Japanese banks’ assets have been increasing, this has largely been to the benefit of securities held as investments rather than loans: that said current loan growth, though very weak, is stronger than that (clearly) seen in the period post 1997/1998 when Japanese banks were forced to accept higher banking standards (watch out the Eurozone banking system). 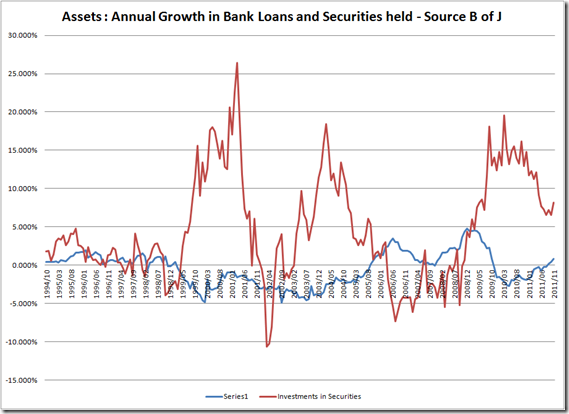 It remains to be seen what type of profile loan growth is going to take once we iron out post Fukushima distortions amidst a global and domestic deleveraging environment. One things is discernible though, current loan growth is unlikely to drive the economy forward (0.83% annual loan growth in the year to November 2011) and central bank monetary easing is likely to continue. It is also worth noting that the recovery in loan growth in the mid 2000s coincided with the explosion of global trade and associated imbalances, factors which are unlikely to be repeated to the same extent in Japan’s favour in the near term.